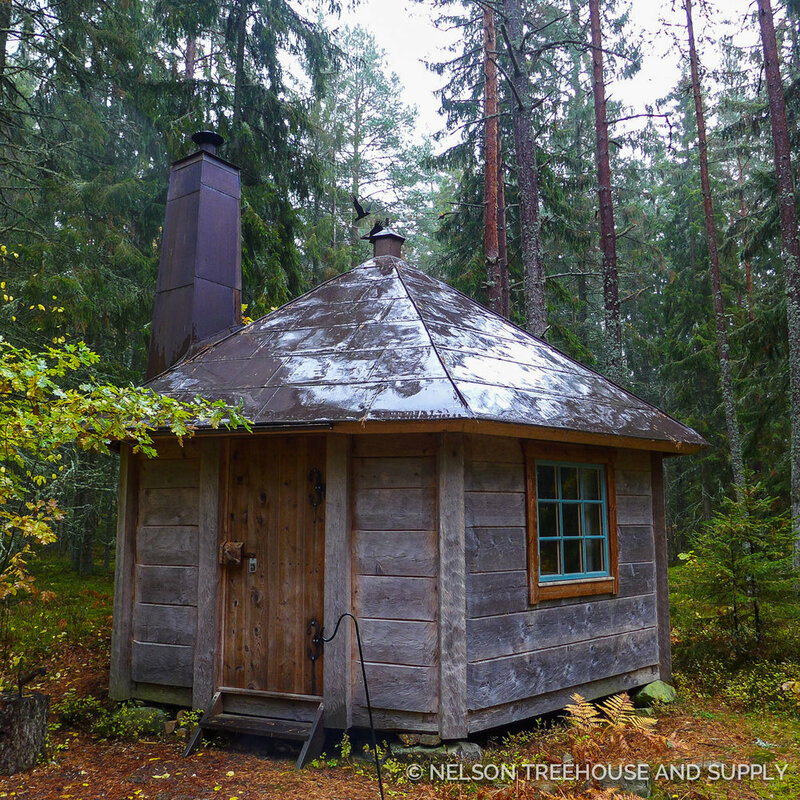 Did you catch last night's international episode of Treehouse Masters? 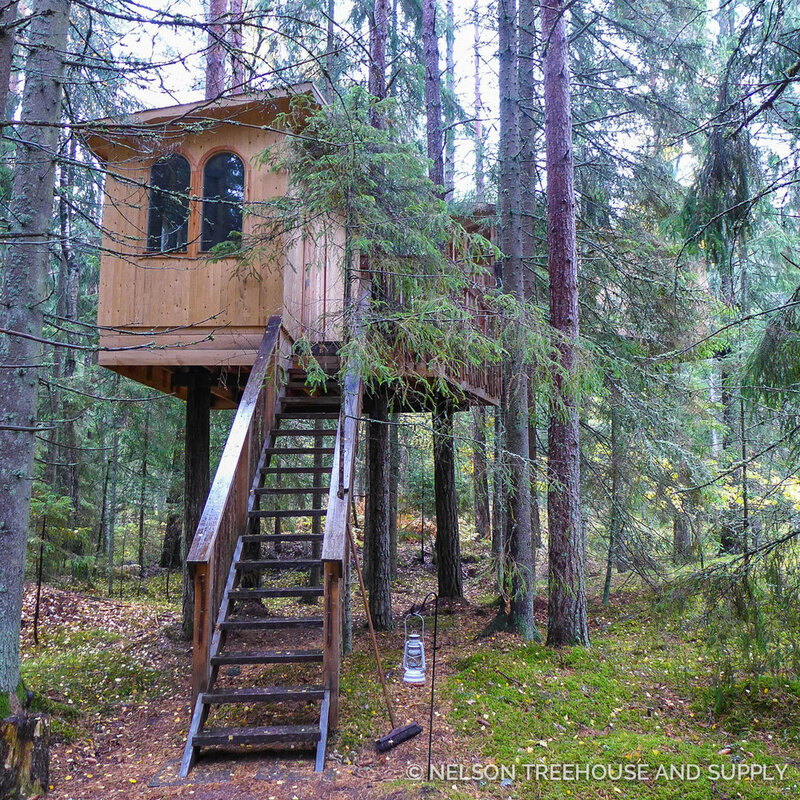 We loved watching Pete's treehouse adventures in Scandinavia, and hope you did too! 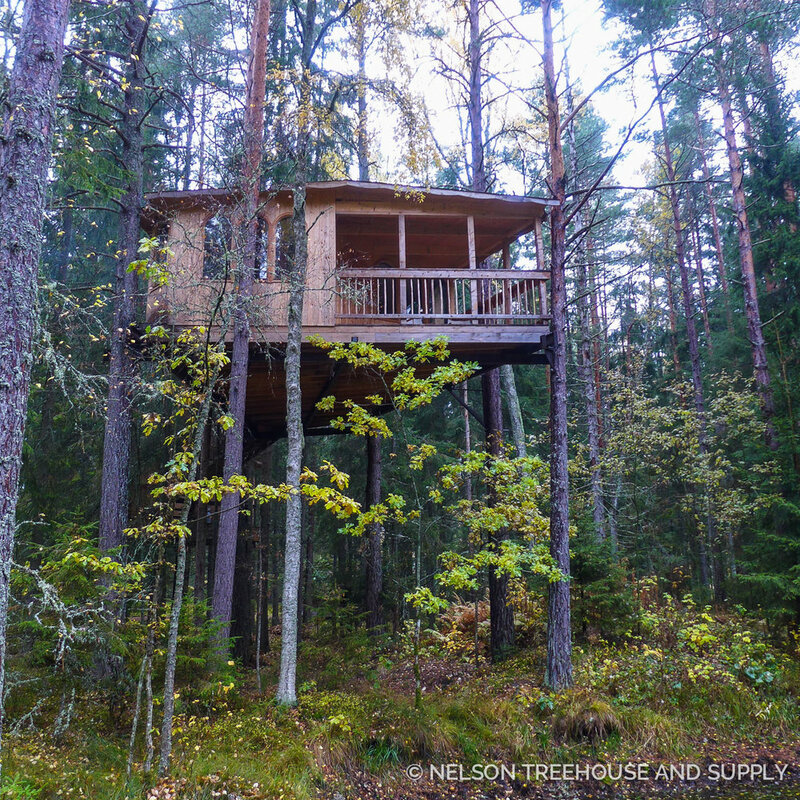 Read on for Pete's favorite moments from his trip, then scroll through the photo slideshows of Norwegian and Swedish treehouses! 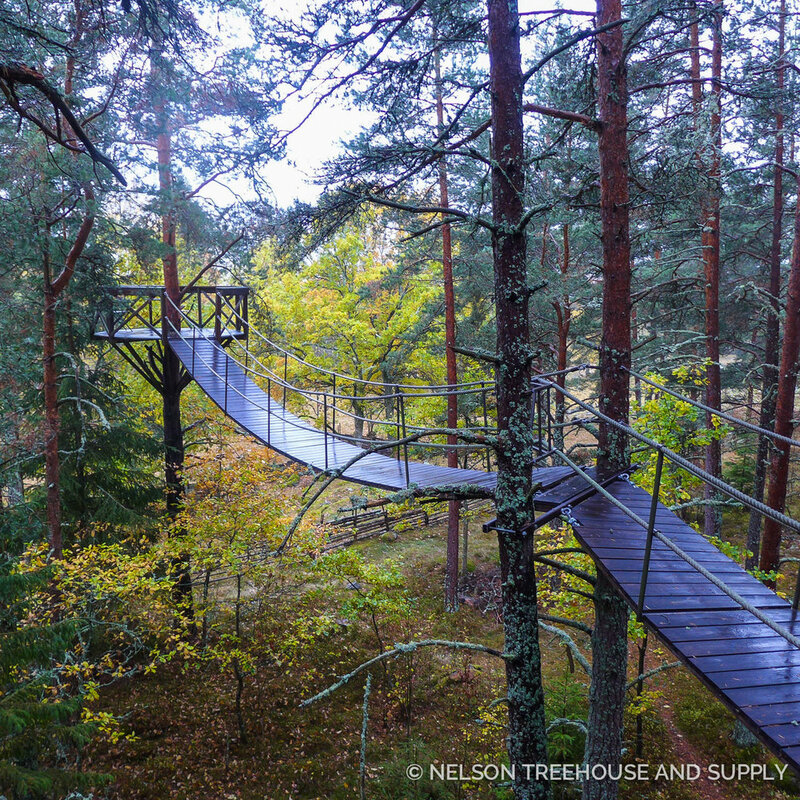 What are some of your favorite memories from your Scandinavian treehouse trip? I loved going to the sauna with my friend Håkan, and having the chance to tour Aker Brygge, an artistic wharf district in Oslo. It was amazing to see such innovative modern art and architecture there. I also really enjoyed visiting the Gol Stave church in Norway; this stunning wooden church was built 800 years ago! I am grateful for the generosity, hospitality, and kindness of everyone I met; thank you for your friendship and for making my time in Scandinavia so meaningful! 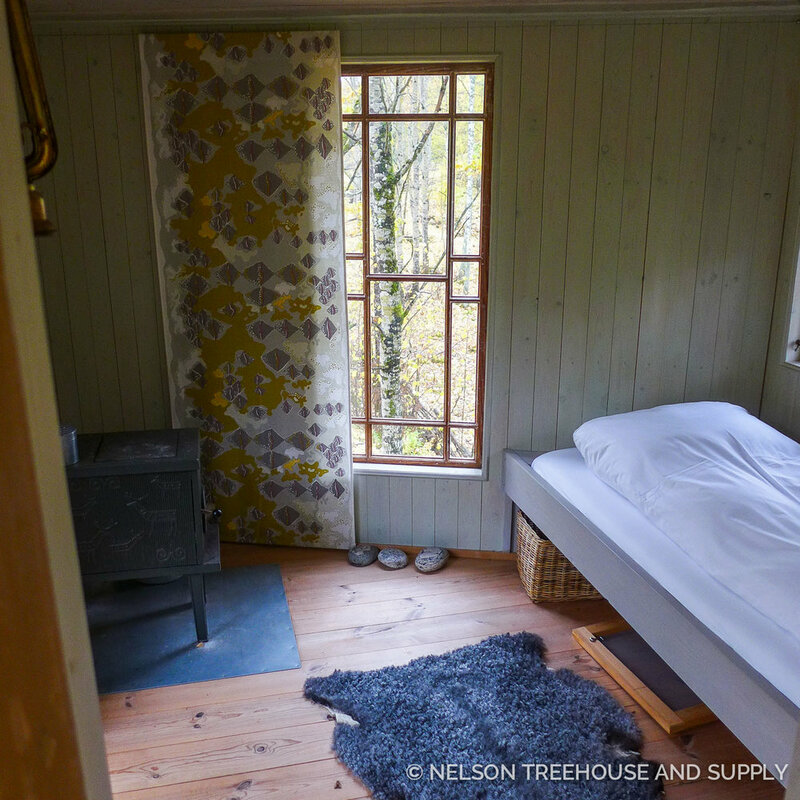 What inspired you most about Scandinavian treehouses? I was really inspired by the craftsmanship and honest materials. 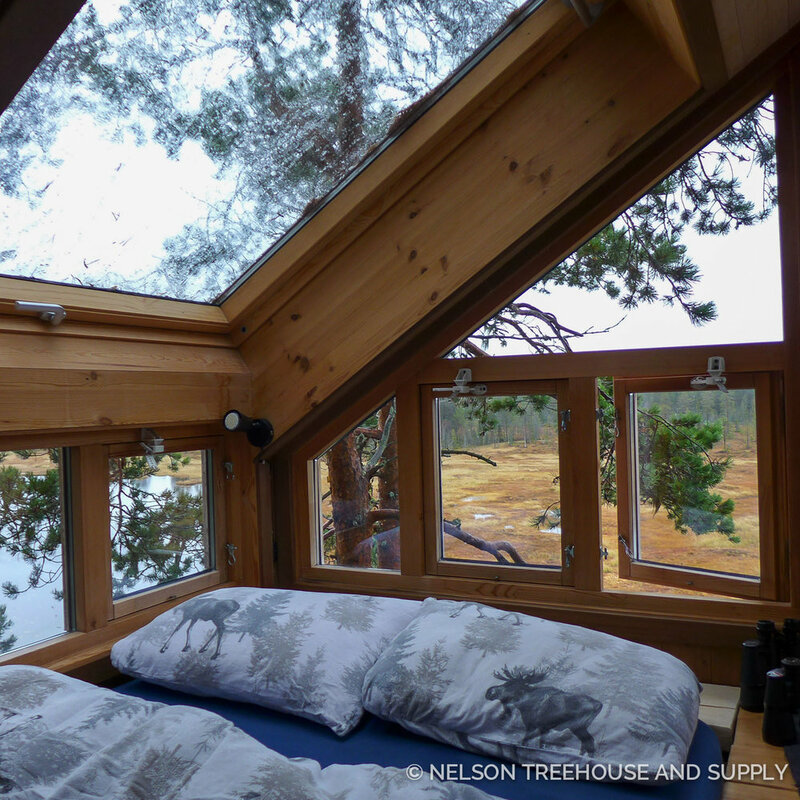 At Tree Top Hut in Norway and Urnatur in Sweden, I could clearly see that each treehouse came directly from the heart of the builders. I loved how they used local materials, were very well-engineered, and complimented and enhanced their landscapes. I was also impressed by the architectural wizardry at Treehotel in Sweden; the "Mirror Cube," "UFO," and red treehouse especially stood out for me. 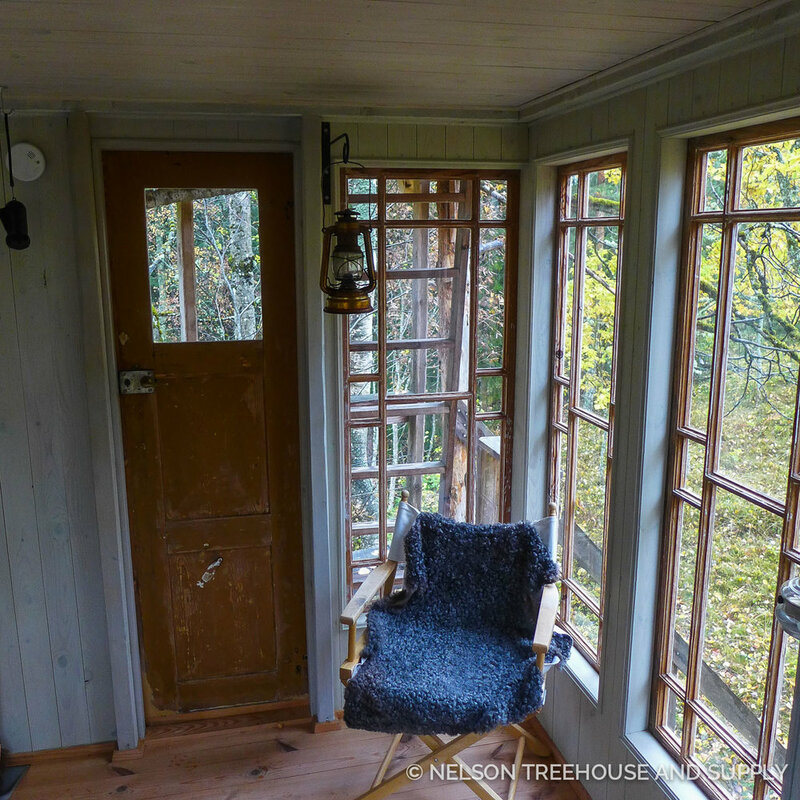 As a whole, I was struck by the simplicity of Scandinavian treehouses. Many had only a fireplace and candles - no lights, TVs, or other electronics. It reminds you that you just don't need a whole lot to be comfortable in nature. 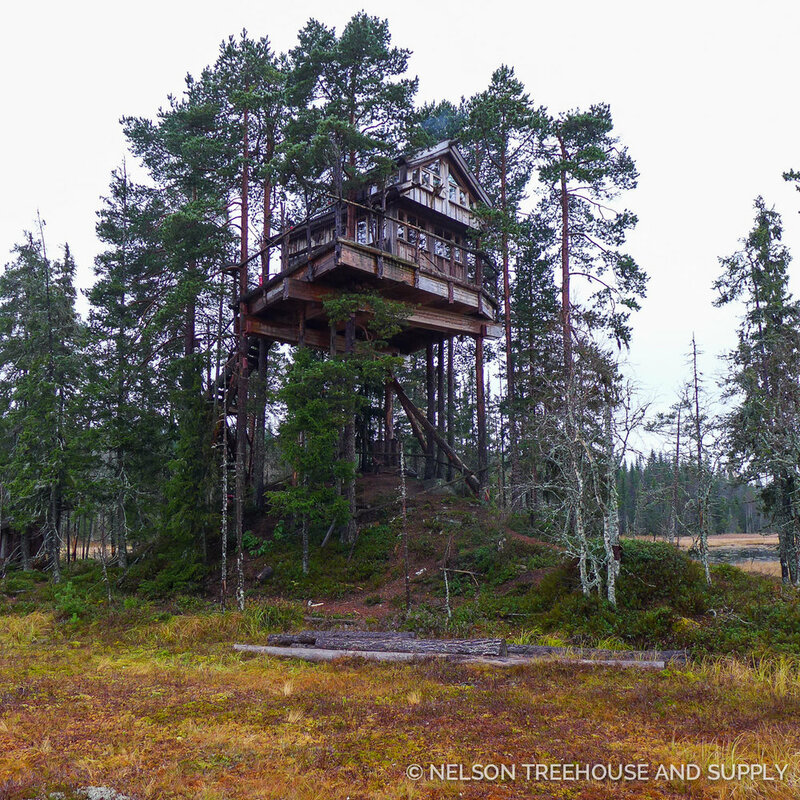 What types of trees make the best hosts for treehouses in Scandinavia? 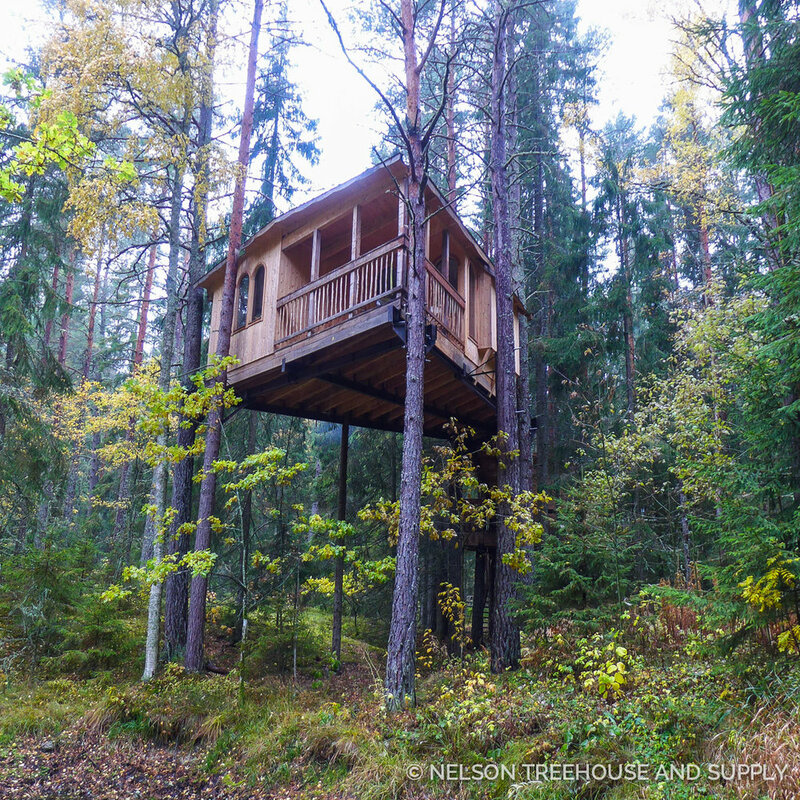 There are prodigious spruce and fir trees in Scandinavia that make excellent treehouse hosts. Pine trees are also prevalent and acceptable for treehouses, but are not quite as ideal as the mighty spruce or fir. 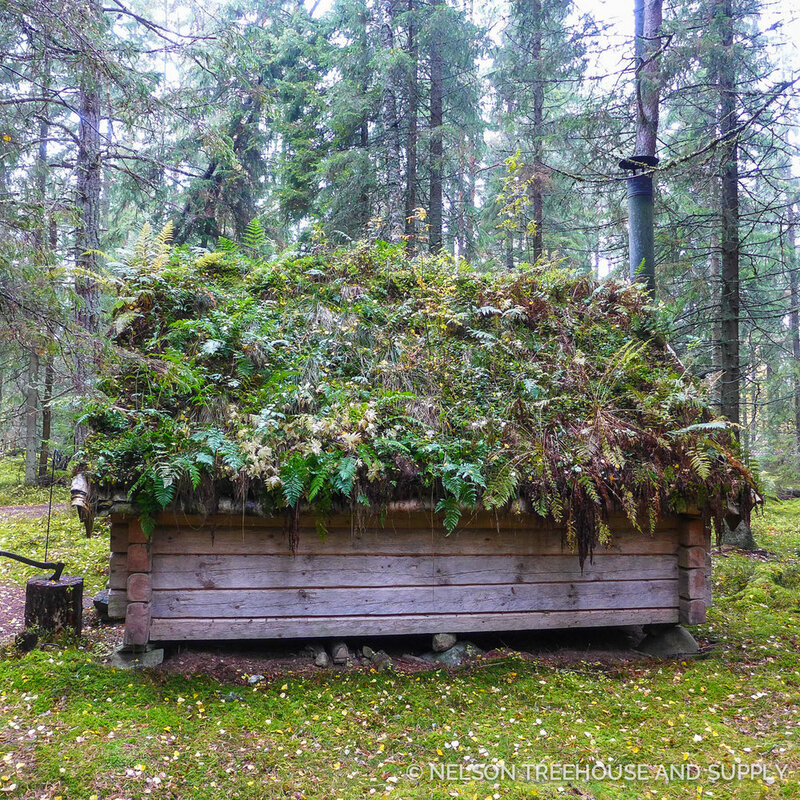 Want to learn more about Frode, Ann-Mari, and their fantastic Tree Top Hut in Norway? Visit https://tretopphytter.no/en/. 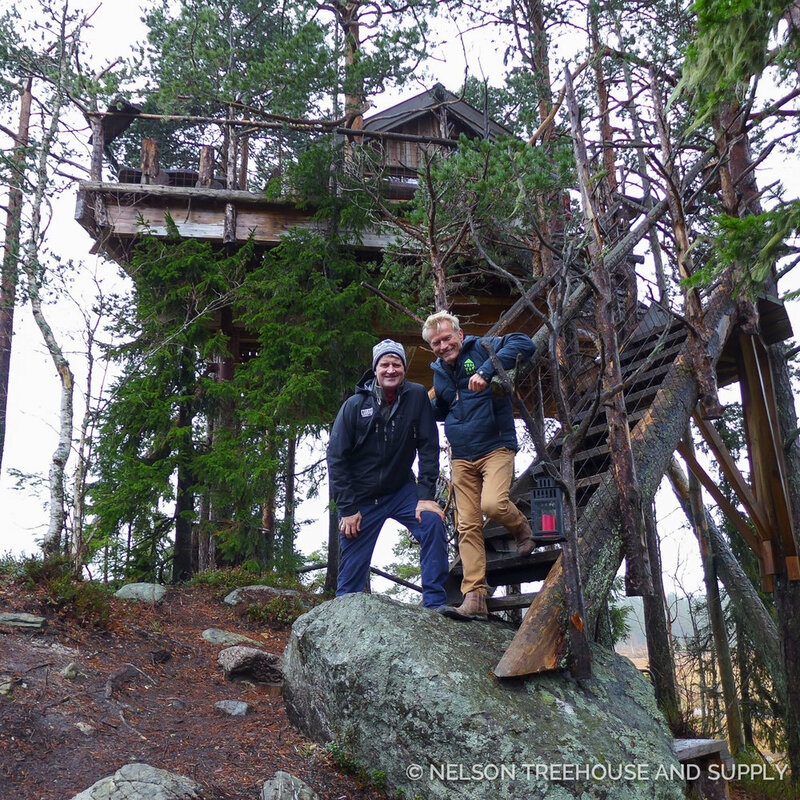 Pete loved meeting Frode Schei at Tree Top Huts in Norway. 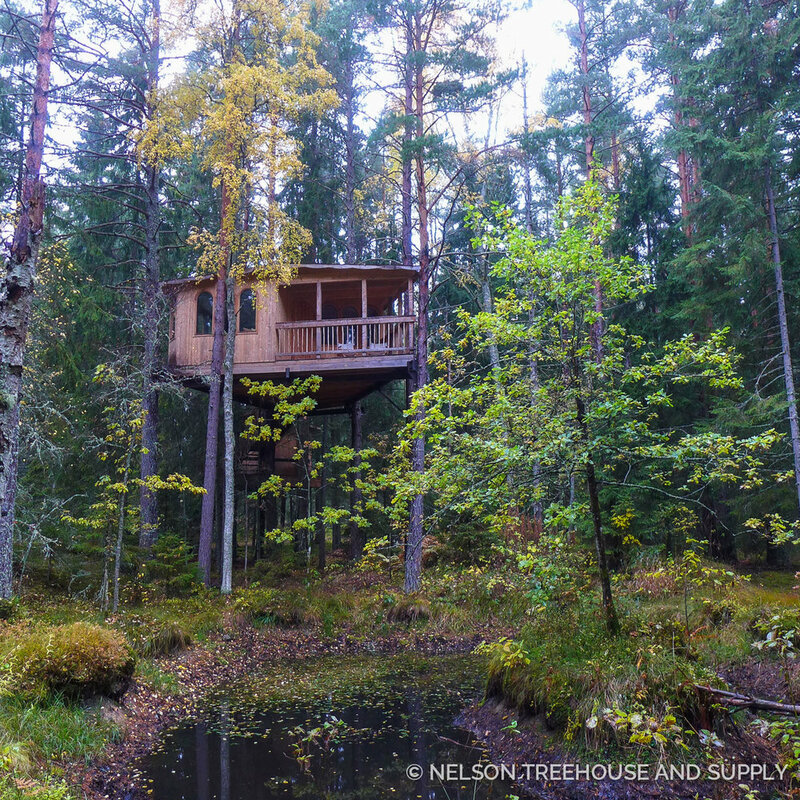 Want to learn more about Urnatur and Swedish treehouse builders Ulrika Krynitz and Håkan Strotz? Visit http://urnatur.se/en/. Pete had a great time with his friend Håkan Strotz at Urnatur in Sweden! 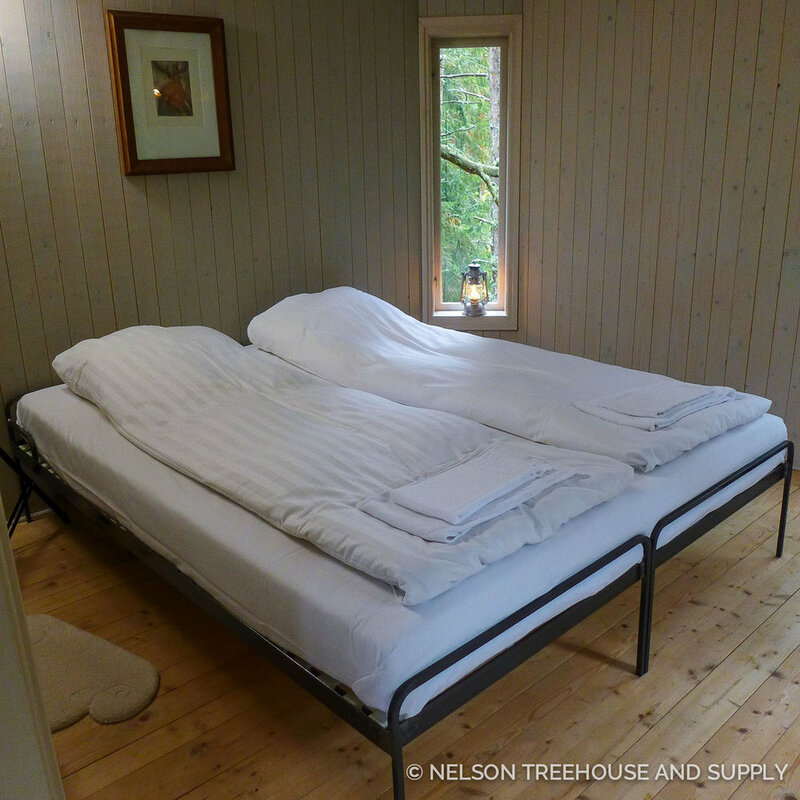 Check out more information about Treehotel and Bertil Harström at http://www.treehotel.se/en/. 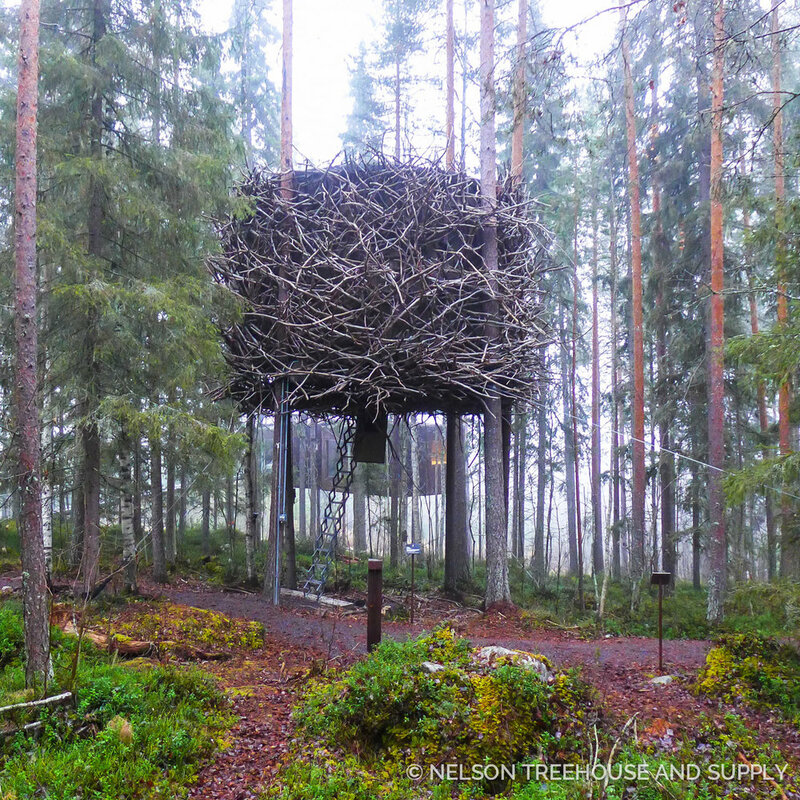 Pete admired the architectural creativity at Treehotel in Sweden. 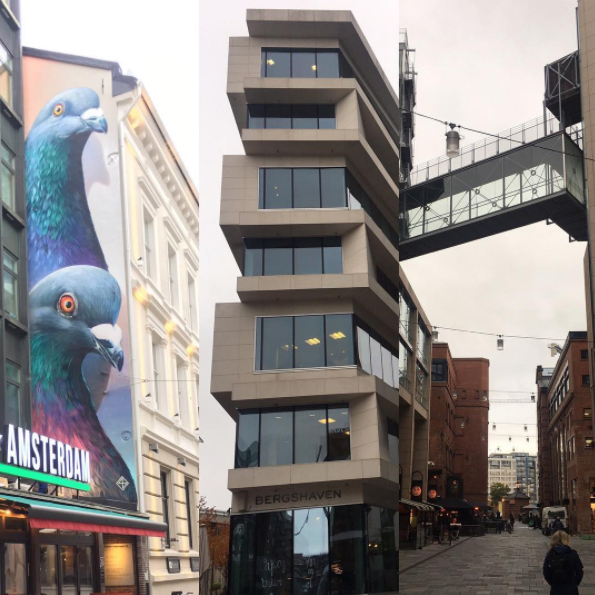 Pete had such a fun and inspiring time in Scandinavia! Thank you to everyone who made his visit so magical. Catch the next episode of Treehouse Masters on Friday, January 13th on Animal Planet. 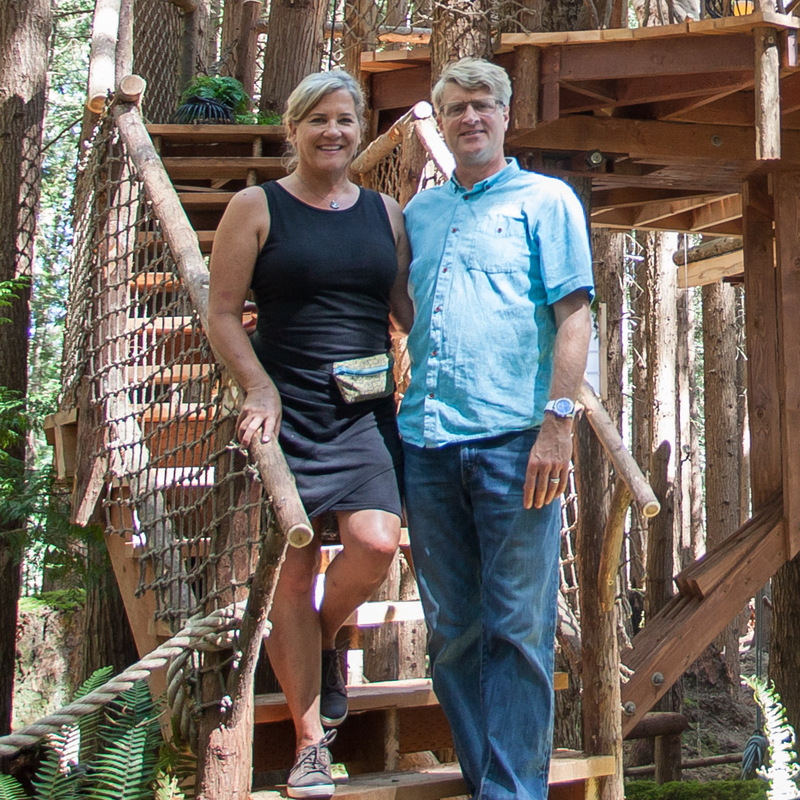 Want to stay updated on our treehouse photo tours from upcoming episodes? Follow us on social media and subscribe to our newsletter!